The Latin Lovers formed in the early 1970s at the intersection of Lyndale and Campbell in the Logan Square neighborhood. As Puerto Rican families continued to migrate into Logan Square they were often bullied by angry Gaylords and pressured to join the Latin Kings that fought the Gaylords; by Lyndale and Campbell the youths were not interested in being Latin Kings so they started their own club to fight the Gaylords and this angered Latin Kings causing the new Latin Lovers club to fight against both organizations. The Latin Lovers remained low key in their earliest years and that’s why no one heard of them until 1974. Latin Lovers allied up with the Imperial Gangsters, in fact they became so close they would wear each other’s sweaters in respect. In 1970s photos you can see Lovers holding an IG sweater over his arm with the symbols facing upward, if they had the sweater over their arm with the patches down it would be disrespect. The Latin Lovers are said to have recruited a gang called the Beldon Boys and the Latin Lovers had made a full appearance and became well known by 1974 at the intersection of Lyndale and Campbell. Soon after, the Latin Lovers opened up at Milwaukee and California which became their headquarters where they slugged it out with the Palmer Square Gaylords (PGL). As soon as Lyndale and Campbell opened, the Latin Lovers clashed with a nearby gang called the Spanish Lords, so there you have it the Lovers were arch enemies with the Spanish Lords and Latin Kings not allies. In the year 1978, Imperial Gangsters, Latin Disciples (MLDs), Spanish Cobras and Latin Eagles came together to fight common enemies in a street alliance known as the “United Latino Organization” or “ULO.” The ULO also invited smaller gangs to be under its protection such as the Latin Lovers. The Latin Lovers then were able to establish a close relationship with the Latin Disciples. This relationship prompted the Latin Lovers to join the Folk Nation alliance in 1980 when they started taking in more gangs and now Latin Lovers became allies with the Simon City Royals. 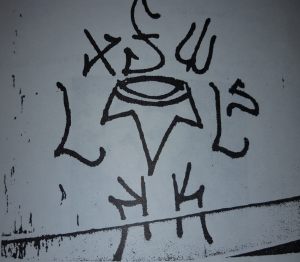 The Latin Lovers pledged into the Folks so much that they adopted the pitchfork as one of their main symbols, you can even see it in early 1980s graffiti, so now there you have it, they were not with the Nation of The Peoples ever in the 1980s or ever. After joining the Folk Nation the Latin Lovers expanded into more territory at Milwaukee and Campbell and Richmond and Mclean “L-Town.” The Lovers also opened a significant branch in the 1980s in the suburb of Waukegan. In the year 1980, a 16 year old member of the Latin Lovers named Nelson “Baby Face” Padilla began working with a crooked cop named Joseph Miedzianowski, as Miedzianowski was assisting the Latin Lovers and all the Folk Nation ULO gangs with dirty business that involved the weapons trade, the Miami-Chicago drug smuggling operation, covering up of murders, and the robbing and shaking down of People Nation gangs in the area for their drugs, money and jewelry. 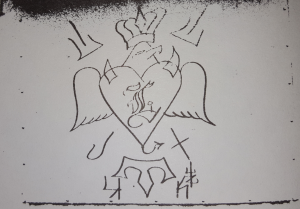 This dirty business not only brought the Latin Lovers lots of money but it also kept many members out of prison and solidified the Lovers with the Folk Nation alliance in 1981. Joseph Miedzianowski’s testimony in 1988 even got Padilla off the hook for major drug charges. Eventually Joseph Miedzianowski was convicted of his involvement in this (Chicago Tribune March 17, 2000). Padilla then became the leader of the Latin Lovers at this point. Here is more evidence that the Latin Lovers were not in the People Nation in 1980 because they were working with the ULO and dirty cops at this point. 1980s pic from an old Chicago Police manual. This is a hybrid drawing showing respect to their closest allies at the time. 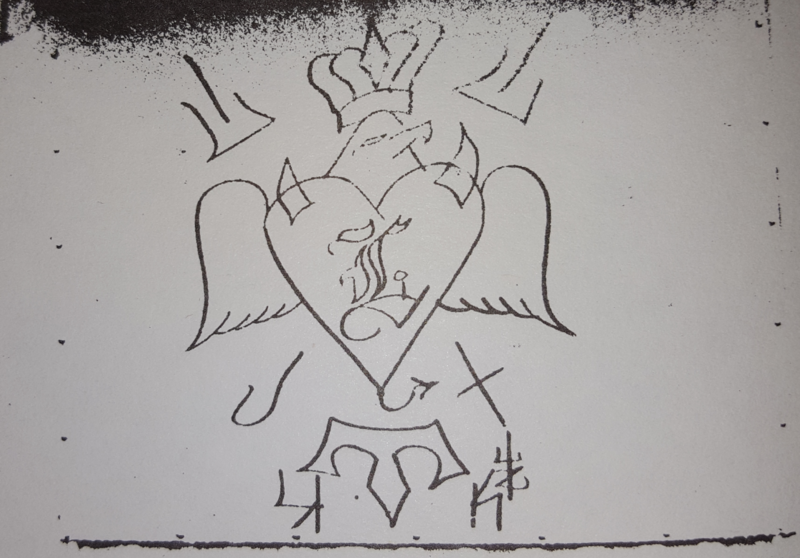 The crown on top is the Imperial Gangster crown, the heart with wings and horns is showing love to the Maniac Latin Disciples, the Eagle head shows respect to the Latin Eagles, the “L” in the middle is how you can tell this is a Latin Lover drawing. In the year 1991, The ULO was in jeopardy of falling apart because the Spanish Cobras, Latin Disciples Latin Eagles and Imperial Gangsters were not getting along and getting violent with each other many of times, by 1992, full scale war was launched pitting these four gangs against each other. All four of them gave an ultimatum to their allies that they could only be allied to one of the three groups and there was no aligning with everyone. The Latin Lovers had a tough decision since they were good pals with the Imperial Gangsters since as far back as possibly 1969, all throughout the 1970s they banged together side by side against the Latin Kings and Gaylords. But in the 1980s the Lovers grew closer to the Latin Disciples and they had bigger business with them than the IGs. The Lovers chose to ally with the “Maniac Familia” and became the “Universal Maniac Latin Lovers.” Now Latin Lovers were at war with their old allies the Imperial Gangsters but they were especially at war with the Spanish Cobras. In 1994, things were heating up on the streets because Maniac Latin Disciples wanted more drug turf than ever before, the problem is their allies occupied much of the turf they wanted. These allies included the Latin Lovers, Latin Jivers and Milwaukee Kings. The MLDs knew they were the bigger gang so they figured they could just start selling drugs in their allies’ turf and the allies would be too afraid to do anything about it, but that plan backfired as the gangs fought back and tried to push the MLDs back a block or two. For the Latin Lovers this led to the slaying of a Latin Lover named “Cook Dog,” at the hands of the MLDs. Both organizations went before the Folk Nation/SGD board and complained. It was decided that the fair thing would be for the Lovers to kill the MLD shooter to settle things. The MLDs agreed; however, when it came time to pay up the MLDs did not produce instead they made things worse by shooting at some Latin Lovers. Nelson Padilla took it upon himself to get revenge for the killing of Cook Dog and one night he spotted a MLD named Robert Detres, then leaped out of a nearby ally and shot Detres to death. Once this happened, the Latin Lovers removed Padilla from power and placed “Rambo” and “Godfather” in full command. Rambo completely kicked Padilla out of the Latin Lovers and Padilla ended up going to prison for murder (Hagedorn, The Insane Chicago Way P. 17 and 22). By March of 1995 the MLDs were petitioning for removal of the Latin Lovers from the SGD La Tabla saying that they allowed a snitch to rule their organization for a long time. Rambo countered saying they eradicated Padilla and that MLDs needed to fulfill their end of the bargain. No agreement was reached and complete war was declared between the two gangs (Hagedorn, The Insane Chicago Way P. 17 and 22). In later years the factions of Milwaukee and Campbell and the original set of Lyndale and Campbell would close down. The Latin Lovers withdrew forces in order to focus much more on Milwaukee and California, Richmond and Mclean and the suburb of Waukegan, after this move leadership was more stabilized. 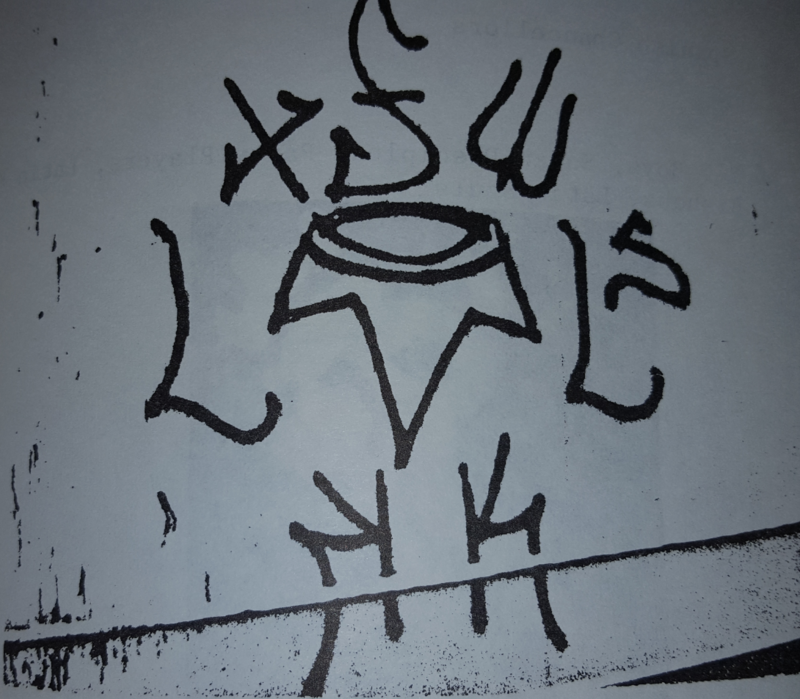 The Latin Lovers had always been small in size but have engaged in vicious gang wars and have been known to be one of the more violent organizations in Chicago. What exact year were the Lovers founded? What neighborhood and what corner where they founded? Who were the 1950s, 1960s, 1970s and 1980s leaders? What happened to Rambo and Godfather? What happened to Lyndale and Campbell and what year did it fall? What year did Milwaukee and Campbell and Richmond and Mclean open?